Discussion in 'Online Games - News and Reviews' started by Marina, Aug 5, 2017. It has been a busy period for the casino software provider, Playtech, with the release of two new games in the space of less than a month. at Playtech powered online casinos. Both games have been exceptionally well-received at online gaming sites and promise to become firm favorites among fans of Playtech and its games. Look out for this Wild West extravaganza at partner sites where everything you’ve ever learned about the wild frontier comes to life on the reels. 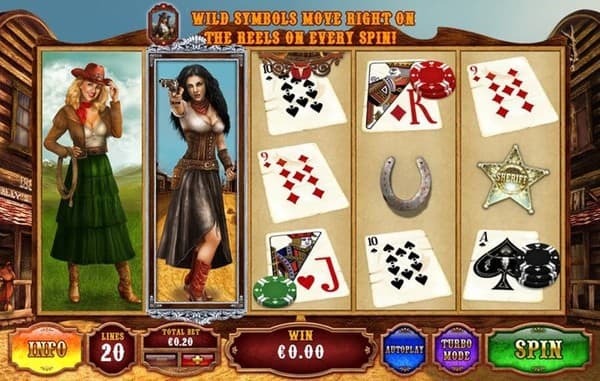 This epic slot game features some seriously sassy cowgirls who take aim to fire great bonus features when they appear on the reels. In fact, the 20 pay line Heart of the Frontier slot is absolutely jammed with bonus features. Two wild symbols are the Sheriff and the Bandit icons, which can change positions, chasing each other across the reels in a fun cat-and-mouse game of its own. If you land two wilds on the same spin, the free spins feature is activated, together with expanding wilds. Heart of the Frontier slot boasts amazing graphics and animations that will have players come back for more each time. One of the most long-awaited branded slots this year has undoubtedly been the one based on the classic movie, Dirty Dancing, starring Patrick “Heartthrob” Swayze. The new title boasts some of the most unforgettable scenes from the movie, as well as numerous in-game features that will definitely increase those rewards. Look out for the Johnny and Baby jackpots, as well as Whirling Wilds where you can earn up to six random wild symbols in any spin. You’ll also enjoy the Dirty Dancing Jackpot Game, and the chance to win up to 35 free games that include expanding wilds. Playtech was excited to roll out Dirty Dancing slot to its partner casinos, and the group’s casino director, James Frendo, was on hand to comment about the latest release.